The Clifton series of ovens and incubators includes both gravity convection and fan circulation models. 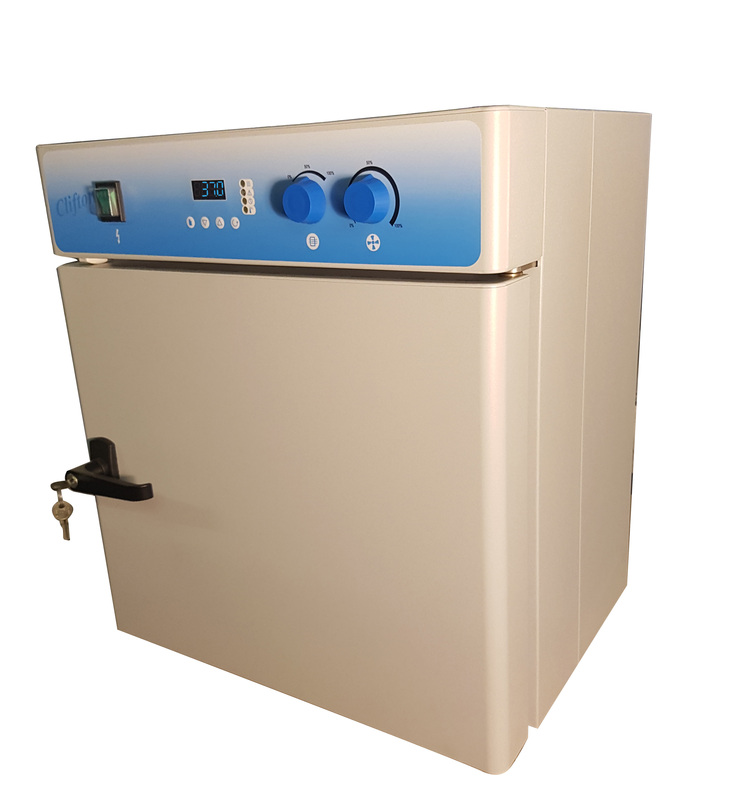 Also available are cooled incubators. The LCD controls for the fan assisted and cooled models show temperature to 0.1°C and have a 6 segment timer delay for advanced programming. Event logs for time and temperature can be downloaded through the RS232 interface. The natural convection models show temperature to 1.0°C and timer delay start and timer at temperature. All models have Class 1 thermal cutoff (operates at +10°C above maximum temperature) and temperature sensor fail alarm. The ovens are constructed with SS 304 interiors and powder coated exteriors. Designed with long-term reliability in mind they come with a 3 year warranty. . Call us now for more information on +44 (0)1626 369990. Alternatively email us now.